Eighteen months into the job, Howard Collins is clear-eyed about the slog ahead. 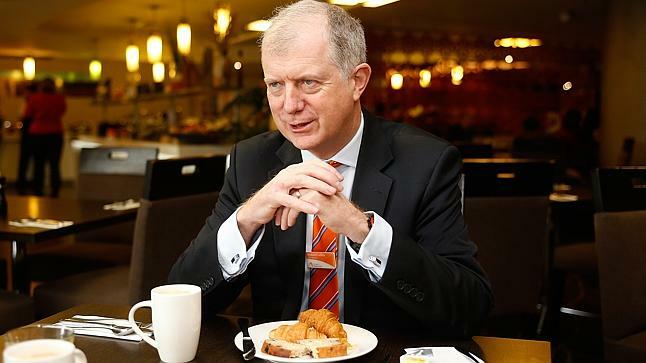 Fixing ­Sydney rail will take billions of dollars and five to 10 years, he says. Howard Collins “the Tube man”, as ­London mayor Boris Johnson called him, counts himself a lucky man. After 35 years with London Transport, he is delighted to wake up each morning in his house overlooking the sea in the south Sydney suburb of Woolooware – bought in blithe defiance of the city’s postcode snobbery – and catch an early train to Central. And neither union battles, nor early criticism of his $500,000-plus salary, nor the ­gargantuan challenge of dragging Sydney’s antiquated railways into the 21st century can spoil his enthusiasm. At that stage in a solid career, when some might begin ticking off the years to retirement, the chief ­executive of Sydney Trains is a man ­invigorated by a new adventure.